A key component in the management of health-care conditions is the use of prescribed medications. The effectiveness of medications and their long-term benefits depends on adherence to the prescriber’s instructions . 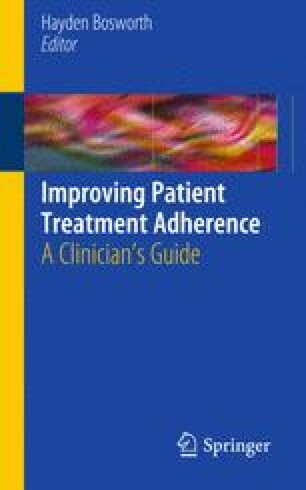 Adherence is defined as the extent to which people follow the instructions they are given for prescribed treatments ; it involves consumer choice and is intended to be non-judgmental, unlike compliance, which reinforces patient passivity and blame. On the other hand, concordance refers to an emerging consultative and consensual partnership between the consumer and their doctor . Medication adherence behavior has been divided into two main concepts, namely adherence and persistence. Although conceptually similar, adherence refers to the intensity of drug use during the duration of therapy, whereas persistence refers to overall duration . Medication non-adherence includes delaying prescription fills, failing to fill prescriptions, cutting dosages, and reducing the frequency of administration. Drugs don’t work in patients who don’t take them. National Council on Patient Information and Education. Enhancing prescription medication adherence: a national action plan http://www.talkaboutrx.org/documents/enhancing_prescription_medicine_adherence.pdf. Accessed 6/2/2008.